While we're Texans at heart, we are quite fond of our adopted home state of Colorado. We've been here almost four years now and it is still amazing to walk out my front door to a view of the Rocky Mountains. 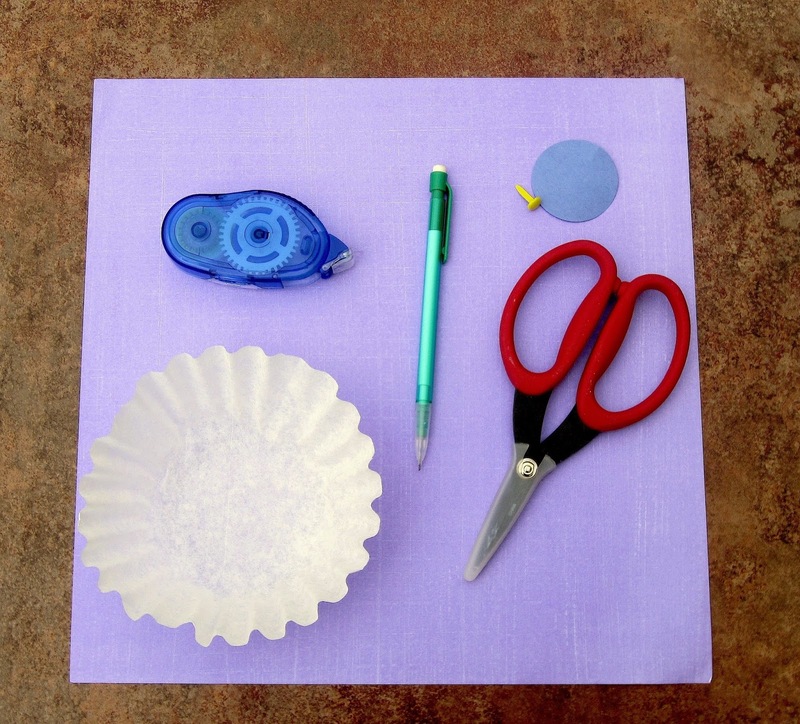 We're participating in a fun blog hop called "Tour the World by Flower" so we decided to create our craft based on Colorado. A little research told us that the official state flower is the Rocky Mountain Columbine which was adopted in 1899. 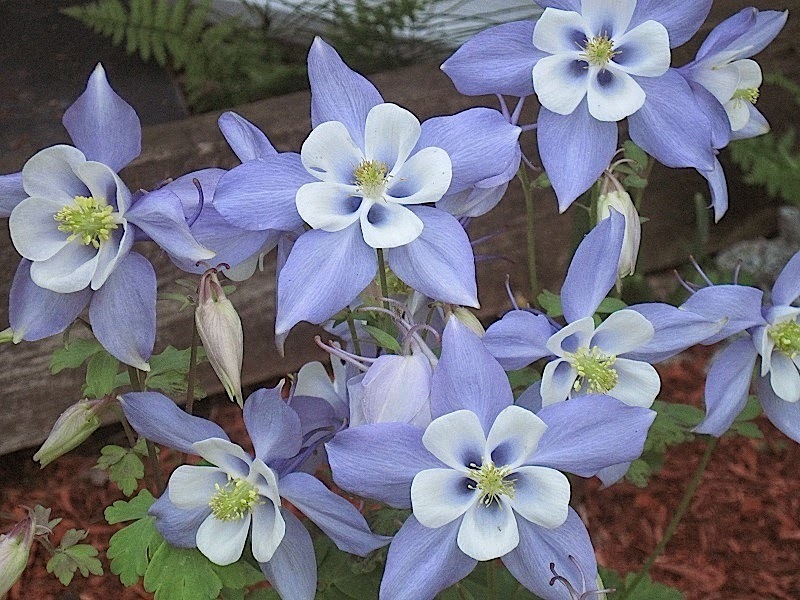 The original flowers were discovered on Pikes Peak in 1820 by early Colorado explorers. A Rocky Mountain Columbine features five pointed purple petals, a white cupped area in the center with five smaller rounded petals, and yellow in the center. 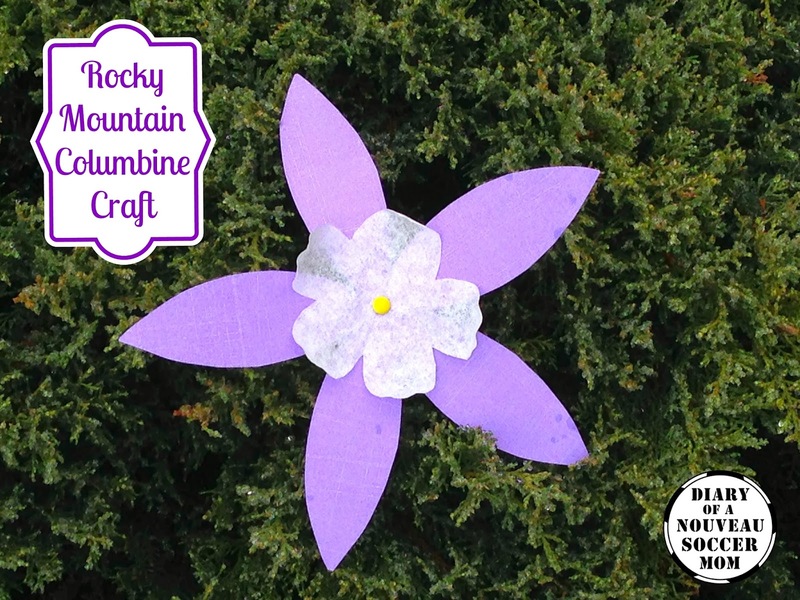 For our craft, we borrowed the base concept from our Girl Scout cookie box flowers and made columbine decorations instead. Cut strips of your purple paper, about 6 x 2 inches. 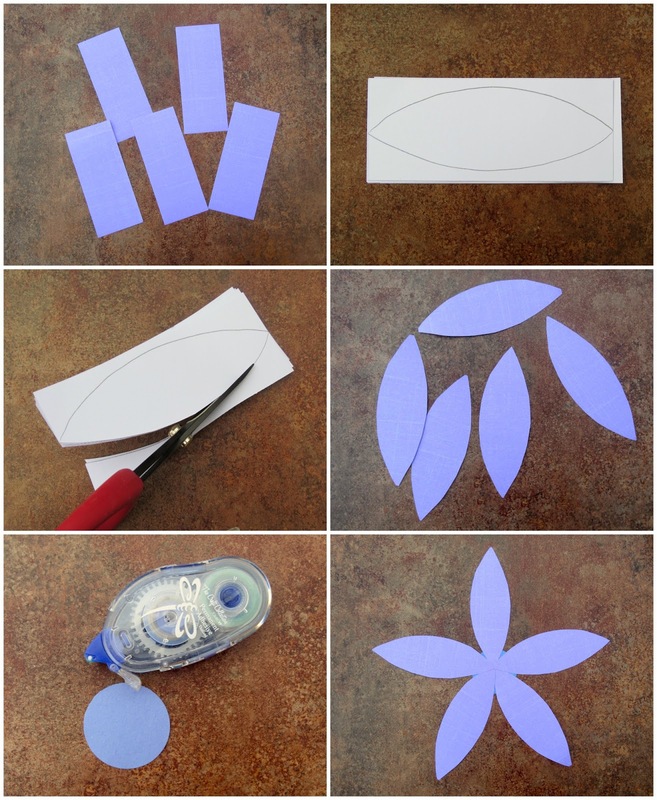 Stack five of those strips together, draw an oval with point ends on the reverse side as a template, and cut. Using a scrap piece of paper, make a small circle to use as a base. Tape each of the purple petals, point in, to the middle of the circle to form a star. 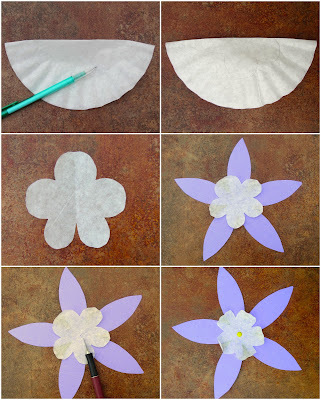 Fold the coffee filter in half and cut a half star idea with rounded petals. Open it back up and tape to the center. Pierce the papers with a small tip and push a brad into place! Want a cute coloring sheet too? We found this one with a Rocky Mountain Columbine picture and facts. Would you like more amazing state and country flowers ideas? 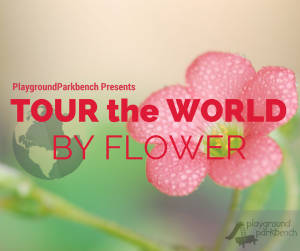 Check out the Tour the World by Flower Blog Hop from Playground Parkbench for many more!